What does the year 1966 mean to you? To most British people, football fans or not, 1966 is the year that we constantly hear about every World Cup. 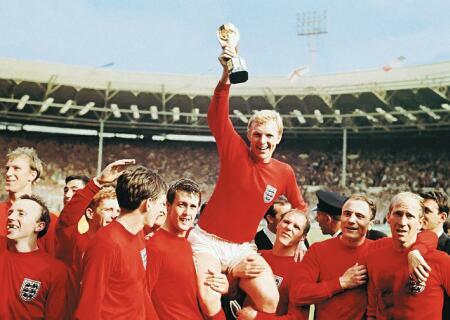 The “spirit of ’66”, the year that England did it, actually won the World Cup. So with less than a month before World Cup 2014 kicks off, its time to investigate this famous tournament. 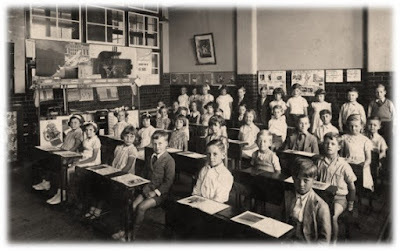 England had treated the World Cup with great piety ever since its beginnings in 1930. They initially refused to get involved, considering themselves world champions since they invented and codified the sport. This led to matches like the Battle of Highbury where they wished to assert their supremacy against nations who were dominating such as Italy. 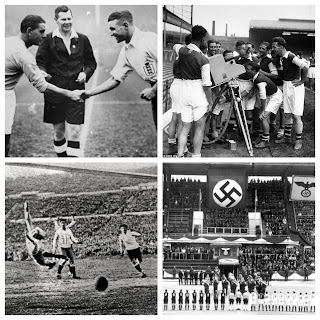 The FA decided to get involved with FIFA in the first post-war competition, Brazil 1950. Historian Matthew Taylor, sees this as significant for boosting the international profile of the British game as previously it had been seen as self-obsessed and introverted. England though, would be humbled by the USA before exiting early and then going on to suffer a thrashing at the hands of Ferenc Puskas’ Hungary in 1953. By the mid-1960s, with domestic sides also barren in the European Cup, the tournament, hosted in 7 English cities, provided an opportunity for redemption. Preparation for the tournament was rocked when the Jules Rimet trophy was stolen in March 1966, it was missing for 7 days before being recovered by Pickles the dog whilst out for a walk in London. The dog became a minor celebrity receiving a year’s supply of dog treats and his owner, a £6000 reward. This World Cup would also lack entrants from Africa following a boycott because of FIFA’s decision to have the winners of Asian and African qualification play-off for a spot. It meant the sole place for Asia was won by North Korea making their first appearance, joining 10 European nations, 4 South American and Mexico from North/Central America in a 16 team competition. Alf Ramsey took the reigns as England boss in 1963 by declaring they would win the 1966 World Cup. Ramsey, who played at right-back in England’s humiliation to USA in 1950, believed his nations time had come and took total control of all team affairs unlike any FA appointment before him. Ramsey was a manager who took no messing and his firm but fair nature meant no player was favoured or assured of his England place (something the recent regimes have failed to do). He was unafraid to drop his best players in light of misdemeanours and tore up the tactical rule book in hunt of an early 4-4-2 system. Whereas previous sides set up 4-2-4 with a heavy bias towards wingers pouring forwards, Ramsey’s “Wingless Wonders” played a role in the defensive side of the game. The new gameplay that was narrower and allowed for considered attacks that confused opposition full-backs. As FIFA write, England’s hopes would be built around two Bobbys, “stylish central defender Moore and goalscoring midfielder Charlton” , the former who Ramsey made captain at the tender age of 22. England would start slowly using more of a 4-3-3 formation during a drab 0-0 in the tournament opener with Uruguay in Group 1. Goals from Charlton and 3 from Roger Hunt would secure England’s passage to the quarter-finals, almost 100,000 fans watching their 2-0 victory over France at Wembley. West Germany would top Group 2 scoring 7 and conceding only 1, building strong form with the likes of a young Franz Beckenbauer and captain Uwe Seeler staring. Group 3 provided a shock early exit, as defending champions 1958 & 1962 champions Brazil fell at the first hurdle. After winning their first game 2-0 thanks to Garrincha and Pelé, the later would miss his sides defeat to Hungary before being unable to prevent Eusébio from running riot in Portugal’s 3-1 win. Portugal, making their World Cup debut, dominated their group with 9 goals as Hungary filled the second qualification spot. Group 4 saw the biggest surprise result of the competition as newbies North Korea defeated experienced hands Italy 1-0, dumping them out and snatching second place behind the Soviet Union. Alf Ramsey’s tactics shored up the English defence but they suffered problems as FIFA officials campaigned to have midfielder, Nobby Stiles, voluntarily dropped for a vicious foul that only had received a caution. Ramsey told the FA that either Stiles stayed or he would resign. Jimmy Greaves also picked up an injury that finished his tournament leaving Ramsey to select Geoff Hurst. Hurst would head England to a 1-0 victory in a cantankerous affair against Argentina that saw the Argentinian captain, Antonio Rattin, controversially dismissed. England’s midfield success in variation of 4-4-2 could perhaps be considered an early diamond with Charlton taking an attacking midfield position, Alan Ball and Martin Peters running the flanks as defensive wingers whilst Stiles commanded a holding midfield role. In the other ties, West Germany continued their free-scoring form defeating Uruguay 4-0 at Hillsborough Stadium as Soviet Union pulled off an impressive victory over Hungary 2-1. The tie of the round no doubt was Portugal’s 5-3 win against fellow newcomers North Korea. This was despite North Korea taking a 3-0 lead after only 25 minutes. It would be the remarkable Eusébio that saved Portugal, he scored 4 times to turn the game on its head and send his adopted nation to the semi-finals. 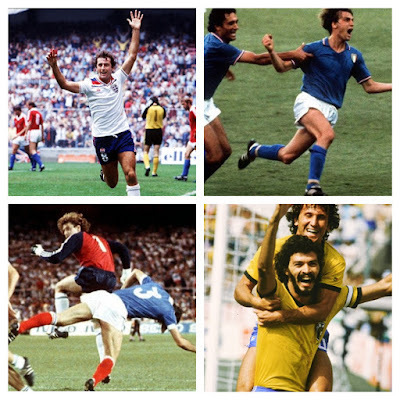 The last 4 could all stake a claim for deserving to win the tournament, the hosts were yet to concede under Ramsey’s revolutionary tactics, West Germany had not stopped scoring, Portugal’s Eusébio had individually lit up the World Cup whilst the Soviet Union had been consistent and effective winning all their games. Portugal would take on England at Wembley in front of 95,000 fans, and it would be the tireless Bobby Charlton that separated the sides, the midfielder scoring in both halves to kill of the Portuguese threat. It wasn't to be that simple though as Eusébio converted a penalty in the 82nd minute to give a nervy finish for England and end their 442 minute tournament clean-sheet. In the other semi-final, West Germany would put out the Soviet Union, with legendary goalkeeper Lev Yashin between the sticks, by the same 2-1 scoreline, goals coming from top-performers Beckenbauer and Helmut Haller. Portugal would go on to cap a fine maiden World Cup with a third place finish, dispatching the Soviet Union 2-1, as Eusébio scored once again. His 9 goals wrote his name into the history books and ensured that the 1965 European Player of the Year would cap off an excellent season. 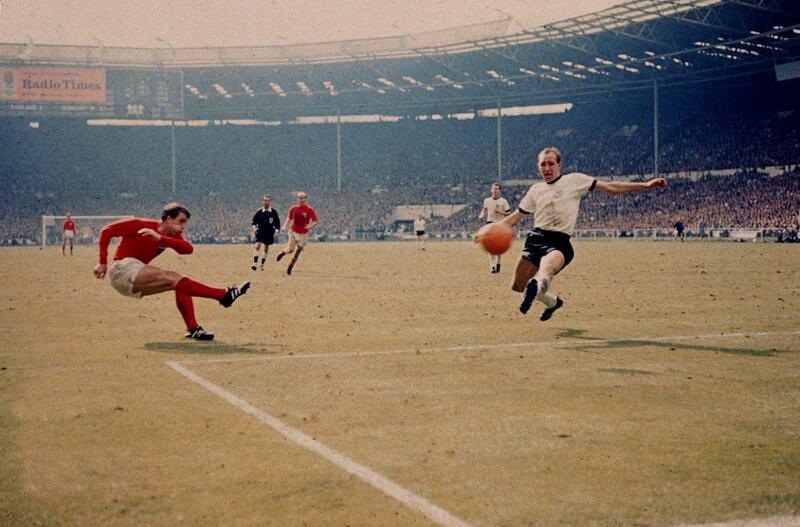 The stage was set though, England would take on the old enemy, Germany… Alf Ramsey v Helmut Schön. The final itself took place on 30 July 1966 in front of 96,924 fans at the iconic Wembley Stadium. England had reached the final based upon Ramsey’s defensive tactics, they had scored 7 goals but only conceded 1 and that was a penalty. West Germany though, had scored 13 goals whilst only conceding 2 on route to the final. This perhaps meant the West Germans would be favourites, Alf Ramsey however, had a promise to fulfil that he made in 1963: England would be World Champions. England won the toss and kicked off in front of a worldwide audience of 400 million people; but things started poorly as Seeler’s deep cross wasn't sufficiently dealt with as it was turned in by Haller beyond Gordon Banks after only 12 minutes. Greaves had been expected to return to the line up but Ramsey stuck to his guns and kept faith with Hurst whose goals had proved vital since his inclusion, something that proved ingenious. 6 minutes after falling behind, a 35 yard free kick from Charlton was headed home by Hurst leaving the scores 1-1 at the break. As the rain poured down the scores remained at deadlock until the 77th minute when West Ham United players combined from an Alan Ball corner. 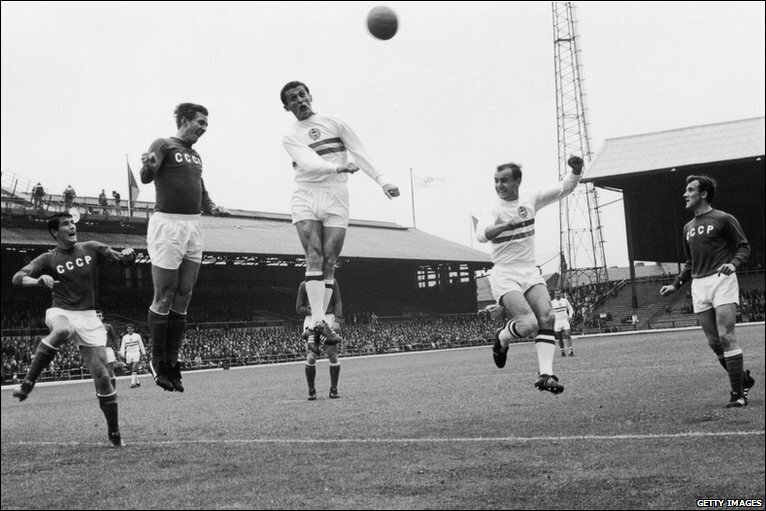 Hurst’s shot was blocked but it fell to Martin Peters 8 yards out who buried the ball, England led with 13 minutes to go! This was not the end of the story though; Seeler won a free-kick with a single minute to go, Lothar Emmerich hit the wall and in the goalmouth melee that ensued, Wolfgang Weber poked home to seemingly break English hearts. "All right. You let it slip. Now start again.”  - Ramsey rallied his troops for the half hour of extra time, perhaps the most important in English football history. It would be in the 101st minute when the game changed again, after Charlton had hit the post and sent a shot just wide minutes earlier. Hurst received, turned and smashed his effort at the crossbar, the ball bounced down on the line before being cleared. The West Germans were adamant it had not crossed the line but the Swiss referee looked to his Soviet assistant who signalled for a goal, erupting the Wembley crowd. As West Germany streamed forwards for another late equaliser, Bobby Moore, his football brain as sharp as ever, saw the opportunity to break. Instead of keeping possession he hit a 50 yard pass into the stride of Hurst who, amongst whistles from the crowd to kick the ball out of play, blazed forward and rocketed his hat-trick into the net. Crowds had begun to stream onto the pitch which led to the famous BBC commentary, "And here comes Hurst. He's got... some people are on the pitch, they think it's all over. It is now! It's four!". The World Cup dream had been achieved, Alf Ramsey’s side had finally fulfilled the desires of a nation and written their names into folklore. Over 1.5m spectators had enjoyed the 1966 tournament live, a record number as football had come home. For the squad of 22, they would be known for generations to come, appearing in songs calling upon the memory of success every World Cup. Will England do it again in 2014? Probably not, they certainly won’t be considered amongst the favourites this year but one thing is for definite, as the almost 50 years of hurt continues, these legends of ‘66 will not be forgotten. Matthew Taylor, The Association Game: A History of British Football (Harlow: Pearson Education Limited, 2008), p. 202-203. FIFA - 1966 FIFA World Cup, http://www.fifa.com/tournaments/archive/worldcup/england1966/. The Times, 30 July 1966, p. 3. BBC - 1966: Football glory for England, http://news.bbc.co.uk/onthisday/hi/dates/stories/july/30/newsid_2644000/2644065.stm. Andrew Smart, Best, Pele, and a Half-Time Bovril (London: John Blake Publishing Ltd, 2014), p. 246. The Times, 1 August 1966, p. 5.